The incident came to light after the family's neighbours got suspicious and alerted the police this morning, he further said. File Photo for Representational Purposes. PUNE: A 42-year-old man allegedly killed his wife and two daughters before himself committing suicide at their residence in Ambegaon area in the wee hours today, police said. 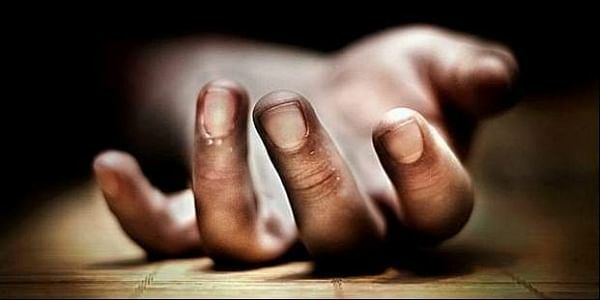 A suicide note has been found in which the deceased, Deepak Hande, has purportedly written that they were ending their lives and nobody should be held responsible, an officer at Bharti Vidyapeeth police station said. "Primary investigation reveals that Deepak, before committing suicide by hanging himself, allegedly strangled his wife and daughters. However, the exact cause of the deaths will be ascertained only after postmortem," he said. and Vaishnavi (12), he said. "A case has been registered and investigation is on to ascertain the exact reason behind the incident," the police officer added.